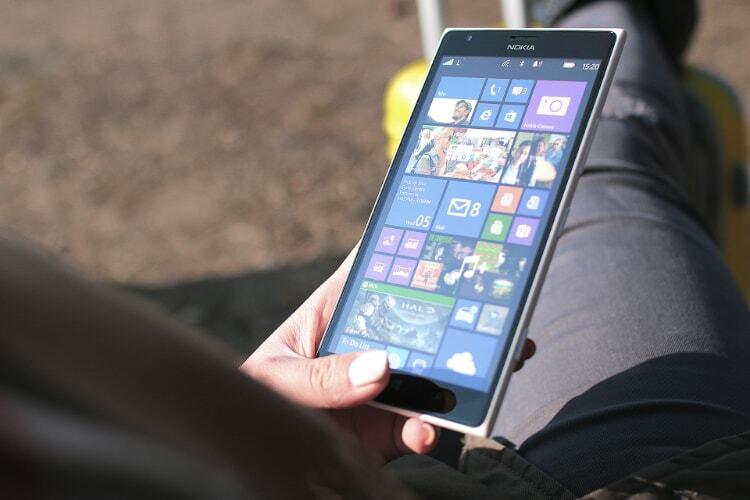 Ever since Microsoft launched the Lumia series of phones, everyone wanted to see how the full Windows 10 operating system will run on the sleek and beautiful Lumia devices. There were also rumors of a new Surface Phone which was supposed to bridge the gap between the Windows mobile and desktop operating systems, but as we all know, nothing really came out of it. With Microsoft killing the Windows Mobile all together, any hope of seeing an official release of a full-blown desktop version of Windows OS on Lumia devices also died down. But, that has not stopped from Windows enthusiasts and hackers to try their hands on it, and if a recent tweet from a hacker who goes by the name of Blaze on Twitter is true, the attempt to run Windows 10 ARM operating system on Lumia phone has finally succeeded. The hacker with Twitter username @Blake_CW has just tweeted a picture of his Lumia 950 running Windows 10 ARM operating system. The picture is showing what seems like the front of a smartphone running Windows 10 operating system. According to the hacker, his Lumia 950 is currently running the Windows 10.0.16299.15 version for ARM.That said, there is no way to definitely prove if what he is saying is true, unless the hacker decides to release more information. But, if the tweet is true, it certainly opens a new window of opportunity for people who had been trying to run full Windows operating system on their Lumia devices. If not for commercial purposes, the discovery is certainly important from the point of view of tinkerers.